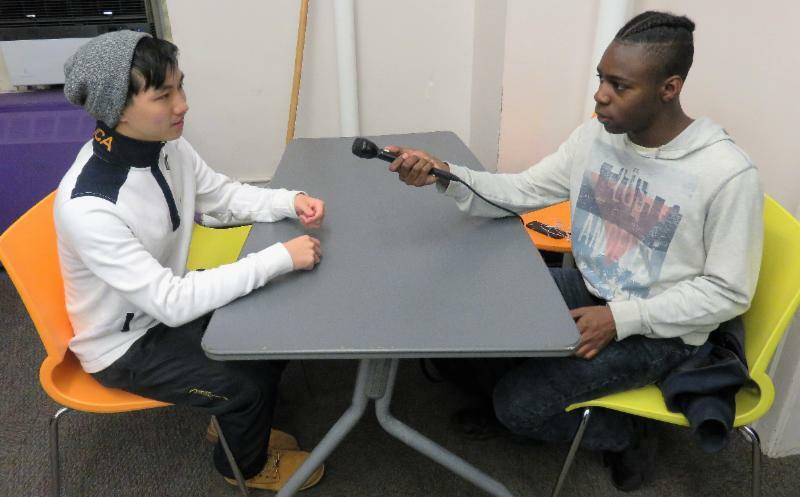 CDI Partners with Radio Rookies – Comprehensive Development, Inc.
WNYC’s Radio Rookie program has come to CDI! Students at Manhattan Comprehensive Night & Day High School are getting a first-hand glimpse of what goes into radio journalism, broadcasting and production. Since 1999, Radio Rookies has been working with students across the city helping them to think critically about their experiences and providing them the tools needed to produce their own radio show. After applying to the program by answering questions about their background and what kind of stories they’d like to tell, students attend a group orientation introducing them to the program. Then each student is paired off with a producer who guides them through the entire production process – from story conceptualization, to script writing and interviewing, to learning ProTools and audio editing. Our students are currently hard at work on their stories – we’ll update you in the spring on air dates! Congratulations to our Posse Scholars! Congratulations to Salimata Dansoko and Jovana Bijelic from the High School for Health Professions and Human Services who have been awarded full four-year scholarships to college through the Posse Foundation. Recipients are chosen based on their ability to exemplify leadership in the 21st century and who authentically represent our diverse and multicultural society. Scholars are supported by Posse staff through the entirety of their college career with campus visits, mentoring and weekend-long retreats to ensure students persist in their studies, graduate and go on to become leaders after college. CDI’s college advisors guide students through every step of the application process starting in the spring of their junior years. After many essays, interviews and letters of recommendation, scholars are chosen in December. It’s a difficult process, but those who apply the hard work needed are rewarded with a full ride to prestigious and highly selective schools. “It still doesn’t feel real!” Salimata said. 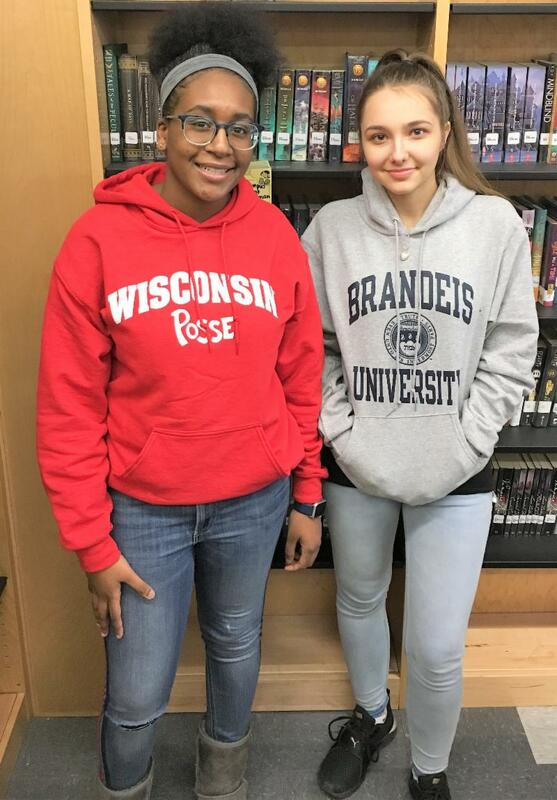 “The whole process took so long, but it was totally worth it.” Salimata will be attending the University of Wisconsin-Madison while Jovana will be heading to Brandeis University in the fall. 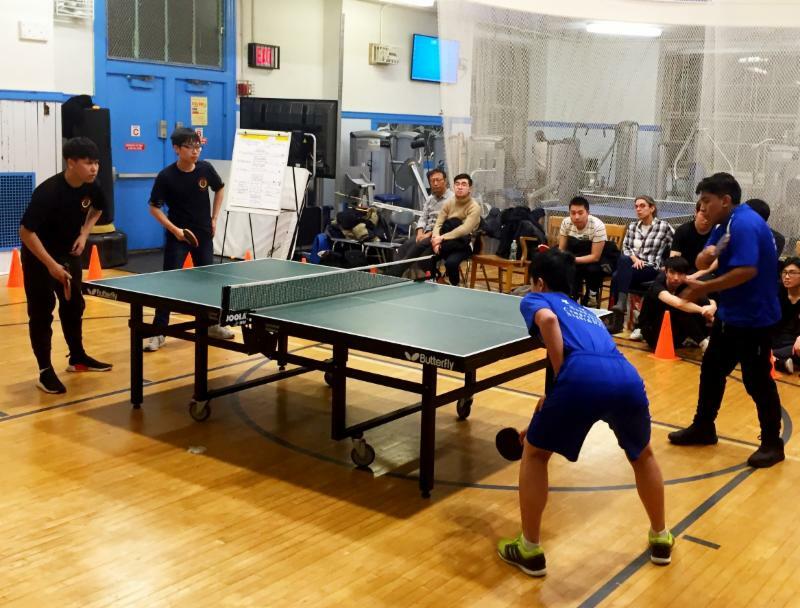 The MCNDHS Eagles table tennis team is taking New York City by storm, closing out the regular season with a thunderous, undefeated 12-0 record. They enter the post-season looking to secure their fourth PSAL Championship. We’ll keep you posted with playoff updates. Go Eagles! Without the support of each and every one of our individual donors, the stories you read about and the programs that make an impact in the lives of our young people would not be possible. Click here to make a contribution to CDI today!